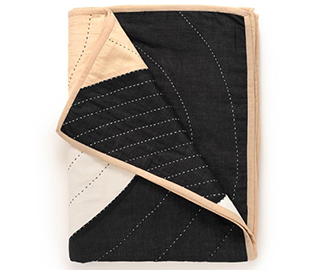 Ideal for small-space living, the quilted throw pillow is a perfect complement to your living space or bedroom. 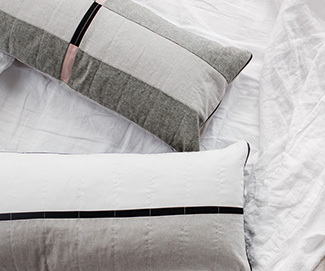 Handcrafted from 100% cotton and linen materials. 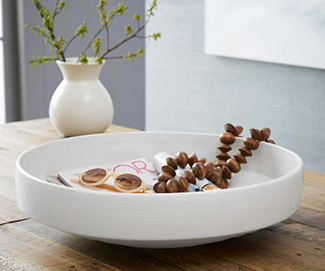 Made from ceramic stoneware and glazed for a polished finish, the Pure White Centerpiece Bowl makes a dramatic statement. Fill with fresh citrus for a simple display or floating candles and flowers for a romantic look. Fresh angle. 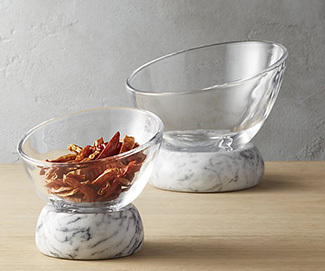 Tilted glass bowl rests on a round of honed white and grey marble. Perfect for serving snacks. Design detail: Glass bowl lifts off the marble base for a change of pace. 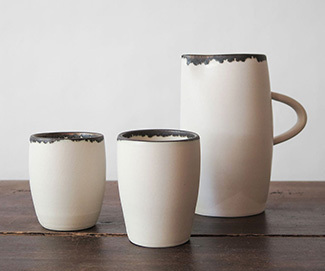 Part of the exclusive collaborative collection with notary and Erica Tanov, this natural ceramic cup is finished at the rim with a subtly metallic bronze glaze. Honoring architecture and design of the Guggenheim’s Mid-century Modern era,is the classic tea and tabletop porcelain collection. 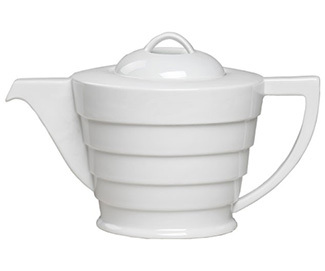 Dynamic shapes and angles of the Frank Lloyd Wright-designed building are celebrated here in a teapot. 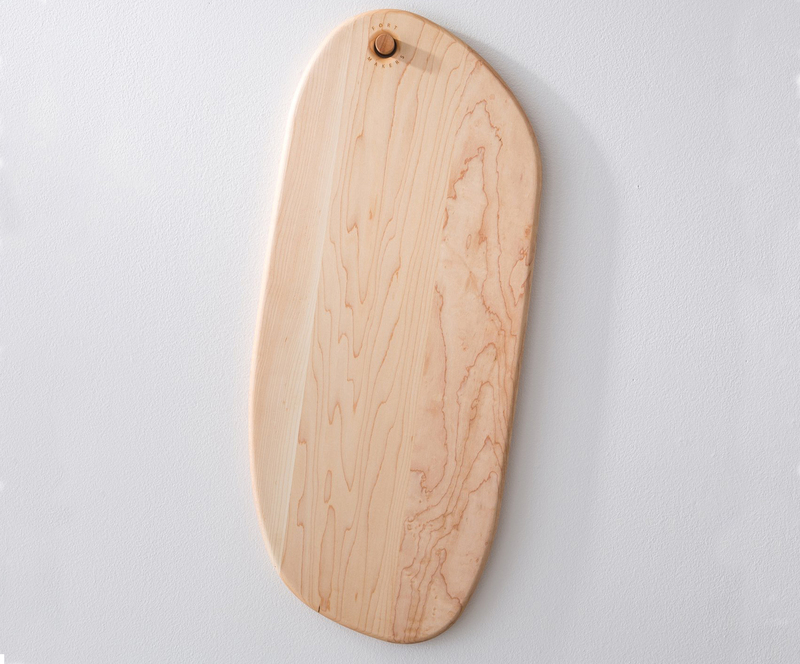 Inspired by smoothed over, water-worn rocks, Noah Spencer’s Pebble Cutting Boards are a study in organic form. Whether hung on a wall in multiples to create a mosaic or piled on a counter to make a cairn, these useable sculptures will add artful beauty to your home. Taking inspiration from the 2018 Hilma af Klint: Paintings for the Future exhibition and the Guggenheim Museum in which it is mounted, siblings Margaret and Colleen Clines let the artworks and their creative inclinations take the lead. 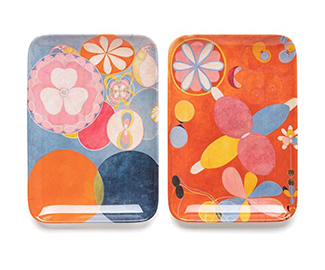 This set of trays features two attractive selections from Hilma af Klint’s series The Ten Largest. The durable trays’ glossy finish gives them a formal, glass-like appearance, yet they are equally suited for use outdoors as indoors, such as on nightstands or dressers. 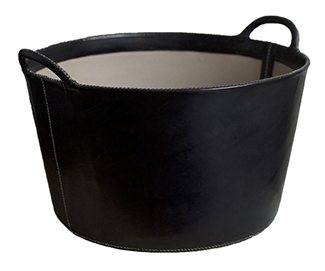 An elegant storage solution handcrafted in Spanish leather. 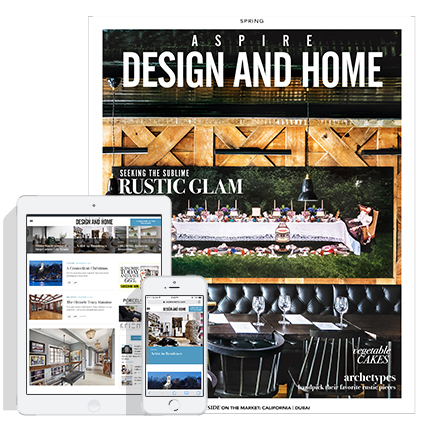 With the added durability of a natural canvas interior and the flexibility to fit into any room, it provides a fashionable way to store anything from firewood to toys. 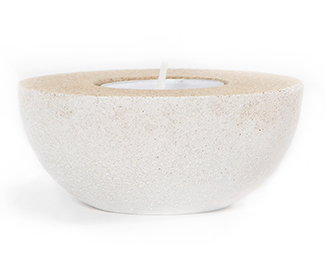 These cork tea light holders are a great way to accessorize any surface in the home. 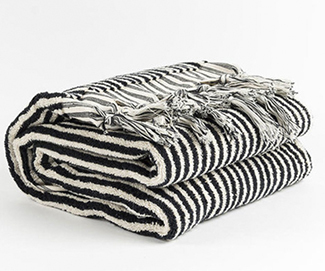 Available in a stained black or white exterior finish.